Originally I had wanted to buy their Eye Clicks and create my own palette but as soon as I walked into the very busy store and spotted the Water Eyeshadows I knew I needed these in my life! It's clear these had been very popular as they were quite low in stock and a member of the staff had to go on a big hunt to find one of the colours I wanted. 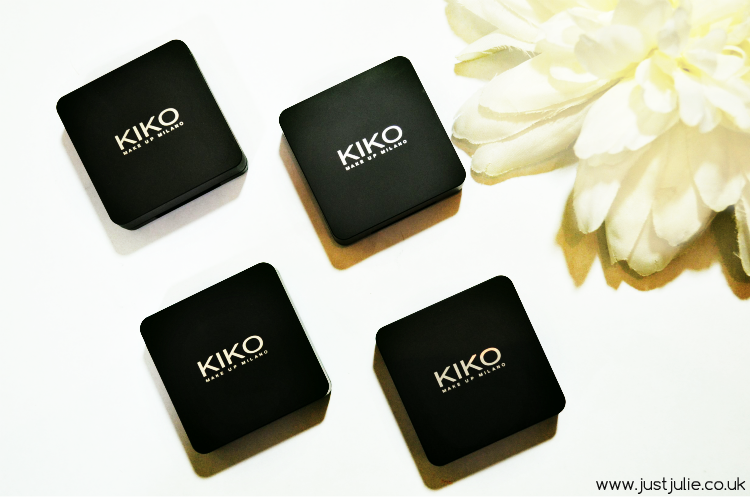 KIKO Water Eyeshadows are dual eyeshadows designed to be used either wet or dry, depending on how intense you want the colour. Apparently KIKO have used ground breaking spherical powders to allow the shades to be super intensive, have a great coverage and be extremely long lasting. 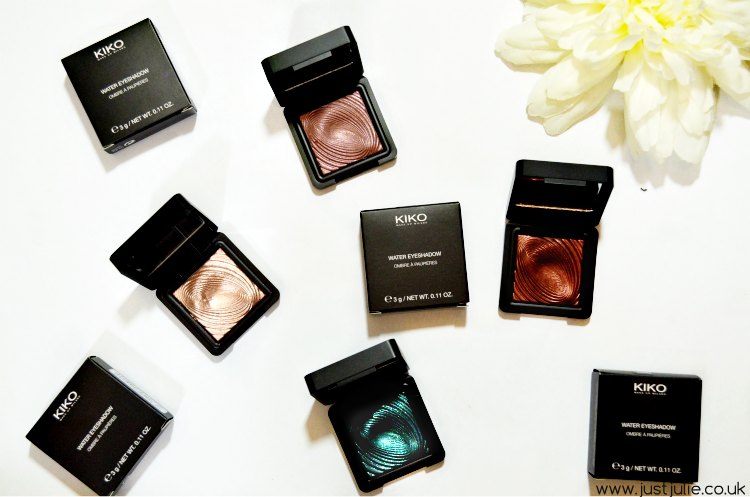 I'm in love with the three-dimensional pattern, it's what drew me in as soon as I saw them, as they reminded me of MAC extra dimensional eyeshadows. All of the shades (32 in total) are shimmery shades, extremely luminous to look at and swatch. Now from the swatches you can see that the pigmentation, regardless of whether it's applied wet or dry is very intense and as soon as I swatched these in store I knew I had to have them! 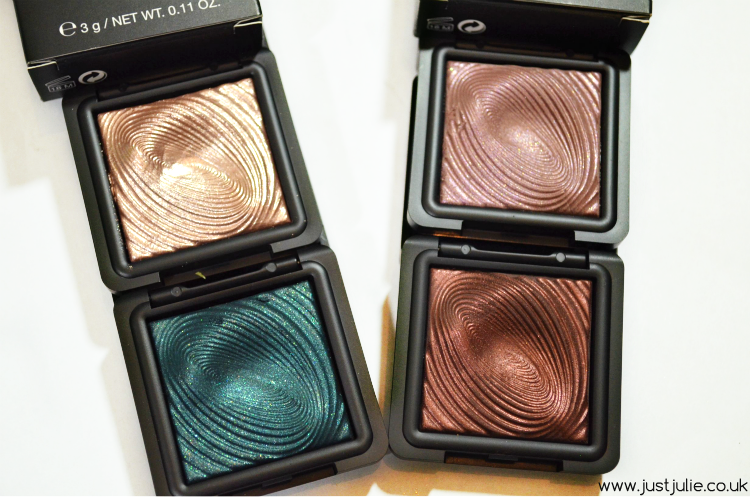 Now I'm torn with these, the colours are beautiful and as I said I love the design but these aren't the easiest of eyeshadows to blend in, which is something I want from an eyeshadow. These are meant to have a buttery texture and blend in easy, but they don't, in fact the texture is quite chunky, especially the one that have a lot of glitter particles in them and it takes quite a bit of work to achieve a nice eyeshadow look. There is also a lot of fall out, even when applied wet, which normally wouldn't bother me, but when I apply an eyeshadow wet I generally expect there to be no fall out. Also when you apply the eyeshadows the pigmentation isn't as intense as the swatches would lead you to believe, which I put down to the over blending that is needed. I do like these but I'm not blown away by them. I expected a lot after swatching them and these sadly don't deliver. They cost £8.90 each, which isn't a fortune, especially as they are quite big eyeshadows, but I have used eyeshadows that cost a lot less that are much better quality. I will use these but I can't see them becoming a frequent part of my eyeshadow look which is a shame as to look at they just blow me away! 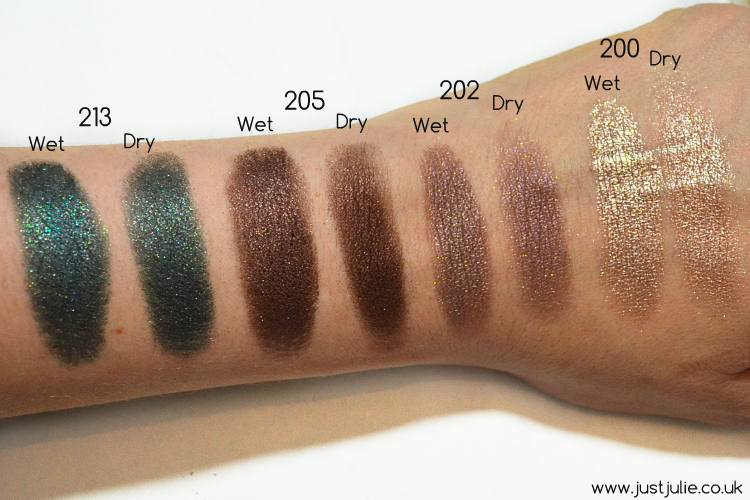 Have you tried the Water Eyeshadows before? What are your opinions on KIKO makeup?